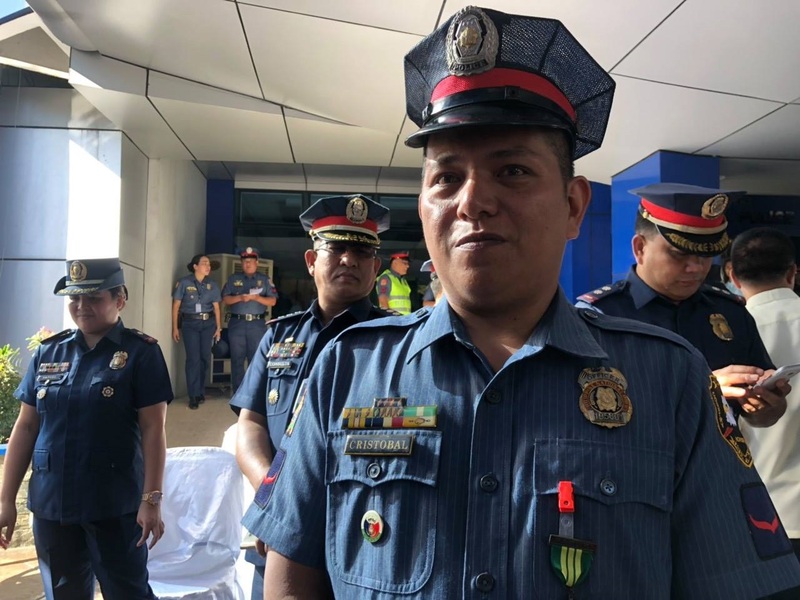 MANILA, Philippines – The policeman who went viral for his impressive response during the ‘taho’ incident received the ‘Medalya ng Papuri’ from the Police Chief. 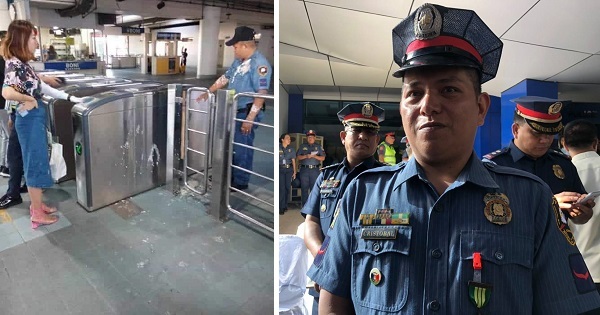 Last Saturday, PO1 William Cristobal was assigned at the Boni Station of the Metro Rail Transit-3 (MRT-3), but the cop would soon go viral on social media after a Chinese woman threw her ‘taho’ drink on him because he did not allow her to enter the station. 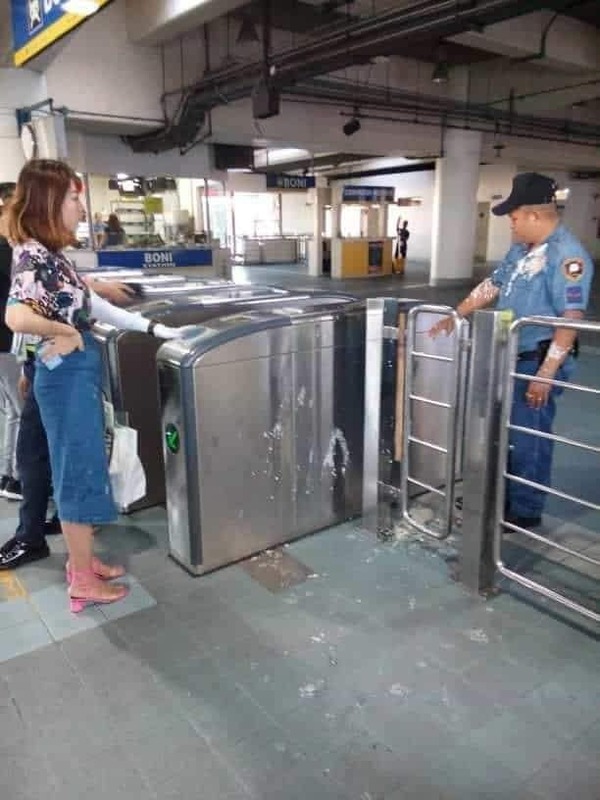 Earlier, the National Capital Region Police Office (NCRPO) banned liquids inside train stations, and especially on the trains, as part of the security measures after the twin bombings in Mindanao. Cristobal was only doing his job, telling commuters to either consume their drinks first or leave them at the receptacles before entering the station. Chinese tourist Jiale Zhang got angry that she was forbidden from entering the station with her drink in hand. When the policeman did not relent, she angrily threw her ‘taho’ at his uniform! Netizens were impressed that he remained calm and collected despite the fact that he was obviously angry and insulted over what the woman had done! “Naka-uniform ako then on duty, andito ako sa sarili kong bansa then foreigner ang mag-ano sayo, siyempre manliliit po tayo,” Cristobal said, admitting that he was insulted by what the woman had done. Despite feeling insulted, however, Cristobal managed to keep his calm and did not retaliate. Instead, the woman was arrested following regular protocols and brought to the police community precinct in Mandaluyong City for booking. PNP chief Director General Oscar Albayalde awarded Cristobal with the ‘Medalya ng Papuri’ and commended his behavior during the incident.